The beauty of the Milky Way has been revealed anew in another stunning image captured by NASA’s deep space Hubble Telescope. The image exposes the strong mix of stars of different ages within the heart of the Milky Way, giving it a sequined, colorful look reminiscent modern and impressionist artwork. 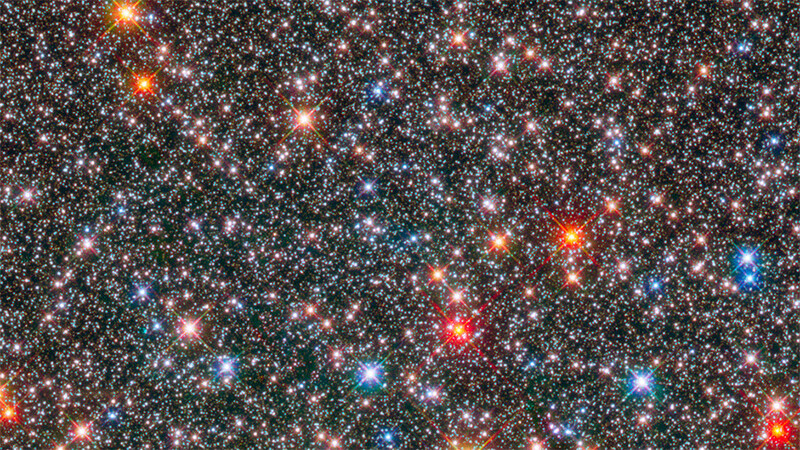 A composite of different exposures taken in near-infrared by Hubble’s Wide Field Camera 3, the picture captures burning red giants alongside smaller, white stars thought to be much like our own sun. Meanwhile, the larger, blue dots are said to be recently formed stars and have been the focus of intense study by astronomers looking for clues about the evolution of the galaxy.